Inspectors from the QBCC and WHSQ work closely together and regularly exchange information about concerns or deficiencies observed on building sites. If a safety-critical fastener fails, it may result in the collapse or partial collapse of a structure, endanger human life and/or cause considerable economic loss. Insert-type fasteners such as expanding anchors, chemical anchors or concrete screws are commonly used now, whereas products such as cast-in anchors or through bolts were once the norm. Whilst these ‘new age’ insert-type fasteners have many benefits, their performance can diminish by incorrect installation techniques, and many failures have been attributed to these poor practices. Some building designers, contractors and tradesmen are not ensuring that these fasteners are correctly specified and installed to sustain the loadings intended to be applied to them over the life of the building/structure. 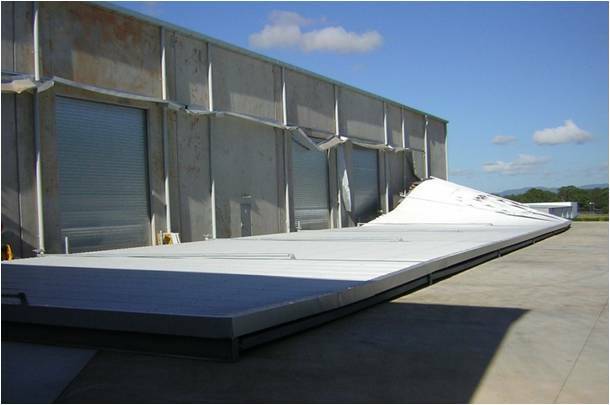 An example where safety critical fasteners have failed in adjoining tilt-slab panels. In recent years, WHSQ has investigated several significant collapses of building elements, including, tragically, one incident on the Gold Coast where a man was killed and several people were injured when an awning collapsed onto a footpath. 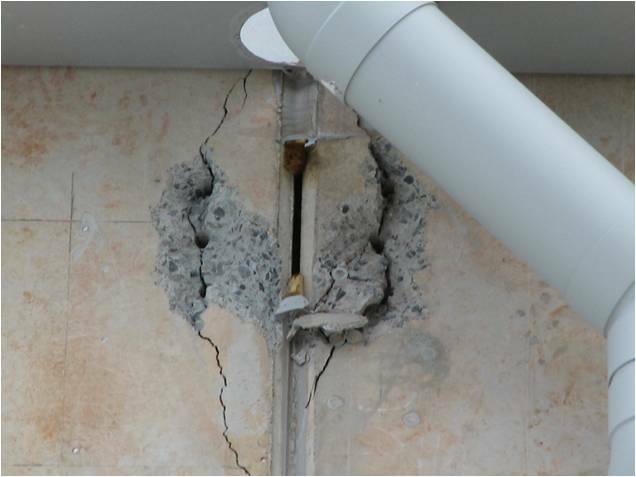 Expert evidence provided to the subsequent Coronial Inquest in 2016highlighted concerns about the performance (when not specified or installed correctly) of the expansion-type insert fasteners used to secure the building’s footpath awning frame to its reinforced concrete masonry support beams. • Inadequate durability of fasteners to resist corrosion. The failure of safety-critical fasteners due to either poor installation or inadequate durability of the fixings is worthy of consideration by building contractors. Contractors must ensure that the fasteners are of the appropriate size, type, durability and, above all, installed strictly in accordance with the fastener manufacturer’s recommendations. Designers and builders should also consider the benefits of providing access points to enable the viewing of safety-critical fastener points within buildings and structures, to help facilitate future inspection. The ability to observe safety-critical fastener points both during construction and throughout the life of a building is a sensible and prudent measure to maintain building occupant and public safety. Such access allows checks of issues such as corrosion, embedment and structural soundness. The QBCC would recommend that on safety-critical applications, building designers and fastener installers are properly trained and competent to ensure that the specification, selection, design and installation of insert-type fasteners are appropriate. The Australian Engineered Fasteners and Anchor Council (AEFAC) has developed an Anchor Installer Certification program to promote best practice for installation and to safeguard human life. To be accredited by the AEFAC, an installer must demonstrate the ability to understand and execute a manufacturer’s installation instructions on properly installing anchors. The certified installer must be capable of assessing ambient conditions, concrete condition, materials, equipment, and tools for installing mechanical and chemical anchors. The certified installer must also demonstrate when it is necessary to consult a supervisor or project engineer during installation. Designers and builders are reminded of amendments that came into effect on 1 May 2016 to the Building Code of Australia, which adopts by reference SA TS 101:2015 Design of post-installed and cast-in fastenings for use in concrete, as the objective measure to design fasteners that will be used to transmit loads to concrete for safety-critical applications. When considering specifying or purchasing safety-critical fasteners to be used in concrete, practitioners should ensure that the manufacturer/supplier of such fasteners can provide you with documentary evidence, such as assessment reports evidencing compliance with SA TS101:2015. The QBCC trusts that going forward, industry participants will properly consider the selection and installation of fasteners used in concrete for safety-critical applications to ensure the ongoing structural performance of buildings and structures.